Roughly a year and half ago, PlayStation Network IDs transformed into Sony Entertainment Network (SEN) accounts, and since then we've been introduced to the next-generation of console gaming for PlayStation. We caught up with Sony Network Entertainment COO Shawn Layden at IFA for a progress report on how the platform is doing on the eve of the PS4's launch. Considering a 2011 security breach was arguably the largest hiccup the PSN and PS3 have experienced, we wondered just what the firm had done to shore up its defenses for the next-gen wave. As it turns out, operations have been re-tooled, but Hirai and Co. aren't forthcoming with details. "As a result of that (the hack), we've instituted a number of measures, systems and protocols inside the platform, which you'll understand why I can't speak to that in any detail whatsoever," Layden said. "We had our baptism by fire early in 2011, and we've come out stronger and with more users from that point forward." In fact, Layden sats the PSN storefront saw more business the month it came back online than it had garnered up to that point. When it's time to jump to Sony's new console, SEN logins will keep funds, friends and other related data synced across the PlayStation 4, PS3 and PS Vita. Of course, the Sony Entertainment Network accounts are meant to string more than just gaming consoles together. As a clear part of Kaz Hirai's plan to unify the company under the "One Sony" strategy, they're intended to give entertainment content from Sony a cohesive and sweeping presence on all its devices. 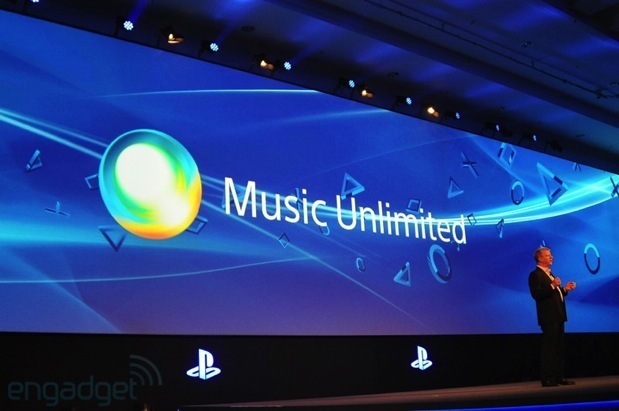 Music Unlimited and Video Unlimited, for example, let folks listen to streaming tunes or rent videos on their consoles, computers and smartphones. With so much emphasis being placed on indie developers with the PS4, we couldn't help but ask if the firm would apply the same degree of concern for independent content creators, such as podcasters and internet networks like Revision 3, to the aforementioned services. While there aren't concrete plans to bring such parties into the mix, the outfit is amenable to the idea. "We want to bring you the best video continent, music content and game content that we can, and if that means that we're going to open up our tent to a larger array of content providers, we're going to do that," Layden explained. "If you're talking about things like podcasts or gamer-specific channels, or the kind of content you would see in a more narrow-design, I think we're looking for that kind of stuff all the time. If we can find that it has enough meaning and attraction to a goodly-sized part of our audience, we have no compunction -- in fact, we look forward to those kinds of opportunities. When it comes to rolling in support for other providers including Google Play and Spotify, however, it appears that's a taller order. "We're always looking for ways to bring the consumer what they want," Layden proclaimed. "On the other hand, if we let our platform be one to every service in the world out there, that's not a differentiator for that because that's called the PC." Another obstacle remains Sony's focus to tap sources that are globally available -- though it is willing to make exceptions. If you're banking on Video Unlimited to adopt a Netflix-like subscription option, you're out of luck for the moment. "That's a completely different business model -- we don't rule anything out, nothing's off the table -- but right now we want to concentrate what we can do in the on-demand, EST and rental business," Layden said. 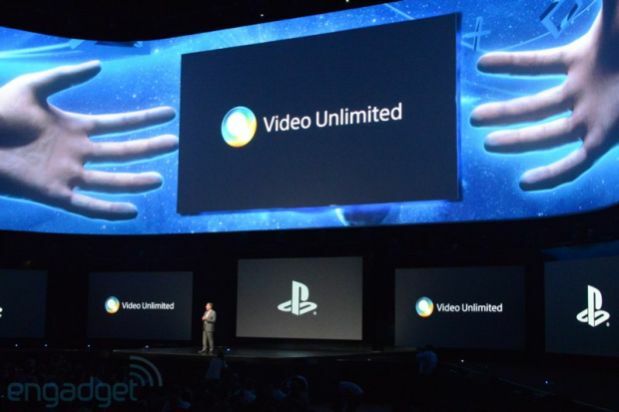 Sony's dedication to the á la carte model hinges on the fact that they often receive movies earlier than services with monthly fees, thanks to licensing terms associated with the sales model. The Sony Entertainment Network has been gathering steam, but it hasn't helped the company reach its "One Sony" goal quite yet. "I think we're well beyond halfway there," Layden estimated. At any rate, if all goes according to Hirai's plan, pairing SEN with the PS4 and other devices will help the firm fulfil its manifesto.